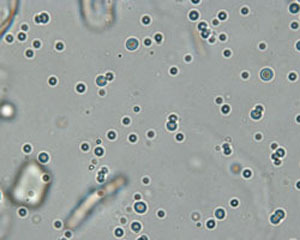 Below is a compilation table of the cellular constituents that can be seen in urine. 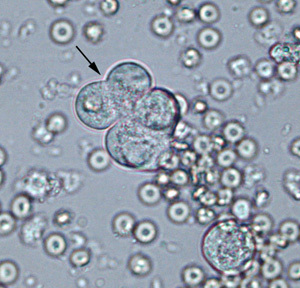 Note, that the magnification is not equal for these images. 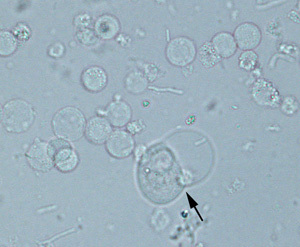 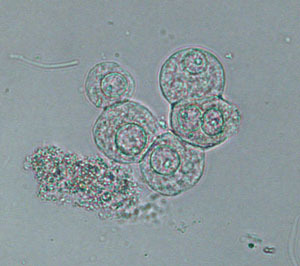 WBC Fig 3: WBC and bacteria Fig 4: WBC and transitional epithelial cell (arrow) Round, colorless cells with a grainy texture (see Fig 3 – bacterial rods are also visible in the background), may see nuclei of cells Classified as number per HPF: none seen, <5, 5-20, 20-100, or >100Normal: Up to 5 WBC/HPF generally are considered acceptable for “normal” urine – these are normally segmented neutrophils. 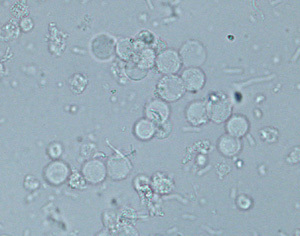 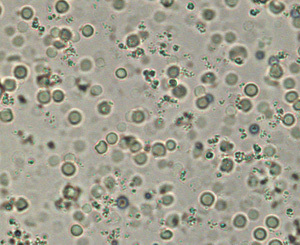 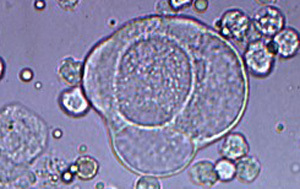 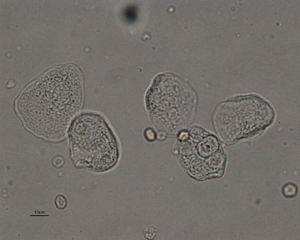 May lyse in very alkaline or dilute (USG < 1.008) urineCompared to RBC: WBC are more grainy and largerCompared to transitional epithelial cells: WBC are smaller with rounder borders than epithelial cells which vary in size, are less grainy and usually have eccentric nuclei (when visible) (see arrowed cell Fig 4, which is from the same urine as Fig 3).